Beauty with charm. : Oval Brushes... Worth The Hype? Oval Brushes... Worth The Hype? This set is a much more affordable option than the original Artis sets and they look cheaper too, but for the $19.99 price tag I can't complain. The sleek black handles are well made and the bristles are super soft (my god they are so soft). 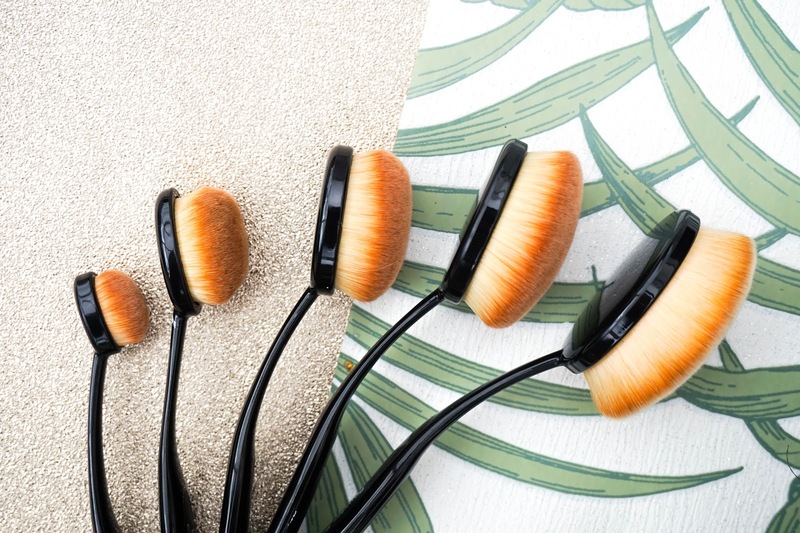 The bristles are densely packed in each brush, so it's definitely not like your typical makeup brush. I find that it's actually better to have them so densely packed because they barely soak up any product when it comes to liquid foundation, meaning that you are getting a flawless finish. I also find that they don't leave any streaks, which I would usually experience with makeup brushes so the finish overall is just super natural (kind of like your skin but better). 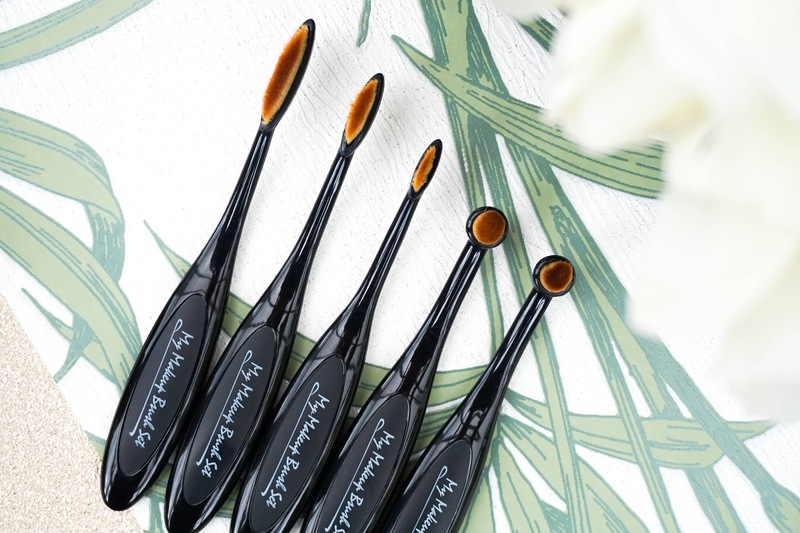 When it comes to powder products the brushes pick up the product so well, you literally only need to tap it lightly in order to avoid applying way too much to your skin. So to sum it up for the face: foundation, bronzer, blush and highlight, these oval brushes worked amazingly well and I would definitely say that they are worth the hype. 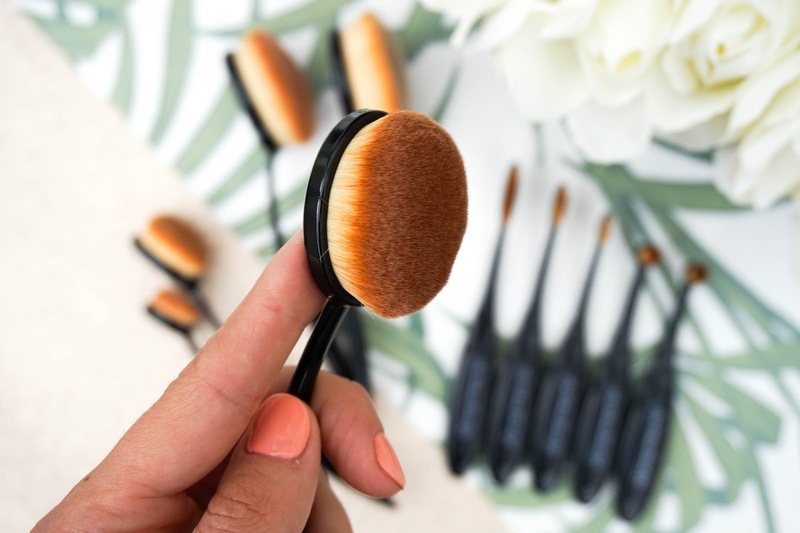 I love my beautyblender and along with a few fluffy brushes, I would rarely use anything else to be honest, but these oval brushes have definitely got me out of that rut and I am now happy to have something else to use from time to time. When it came to the smaller brushes however I wasn't as impressed because I just didn't find them as effective for blending out eyeshadows. If I'm gonna do my eye makeup I tend to opt for a smokey eye which requires some blending out and these brushes we're a bit awkward to use in that sense. The only one I found a good use for was the slim eyeliner brush, as it was quite good for creating a smudged liner (not so great for a super sleek cat liner though). Apart from that I'm afraid the rest of the smaller brushes won't get much use from me in my regular makeup routine. 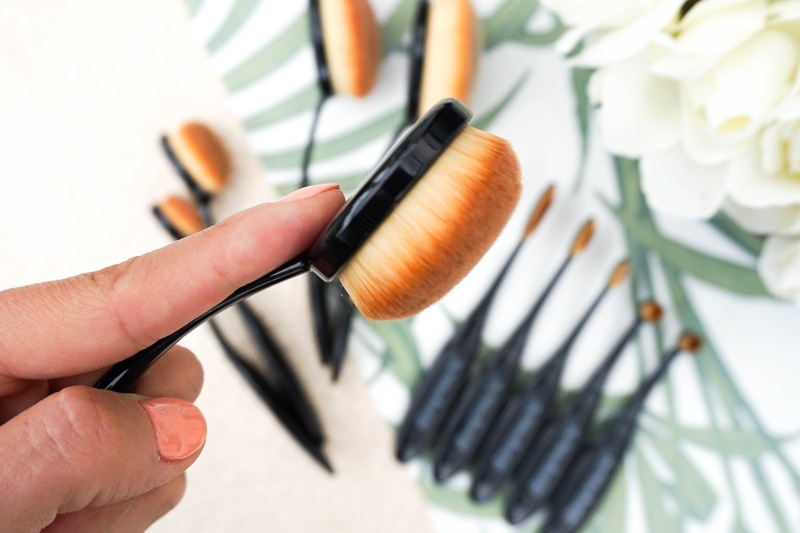 Another tip when using these oval brushes is to remember that you need to use your index finger to hold the head of the brush (as you can see me doing in the photos above). The handle otherwise is quite flexible & would bend back too much whilst trying to blend out any products on the skin... I would also be afraid of them snapping, so I found that's the best way to hold them. So overall I would say that you should definitely look into getting one of the face brushes to start off with, because they are worth the hype in my opinion and something completely different to your regular brushes. Just make sure you opt for one of the many budget options available before investing in anything pricier, in order to make sure the these kind of brushes are something you would like to use personally. 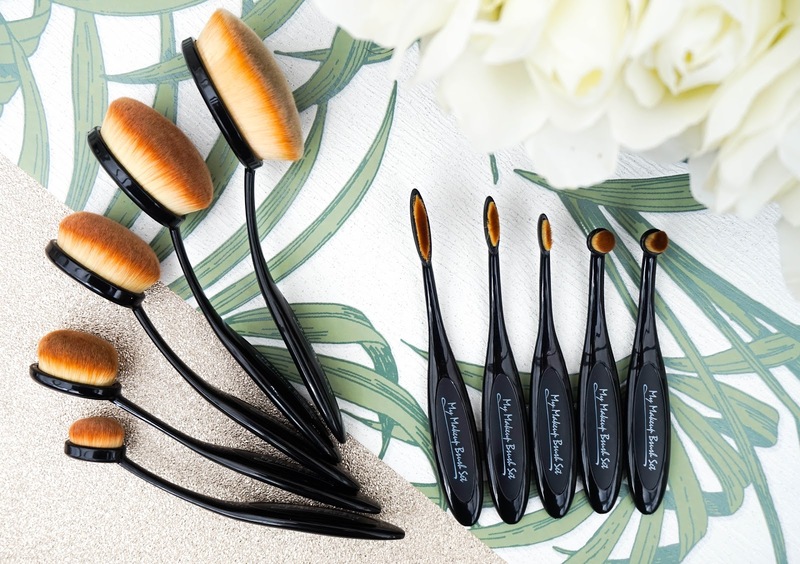 Have you tried these new oval brushes? What are your thoughts on them?